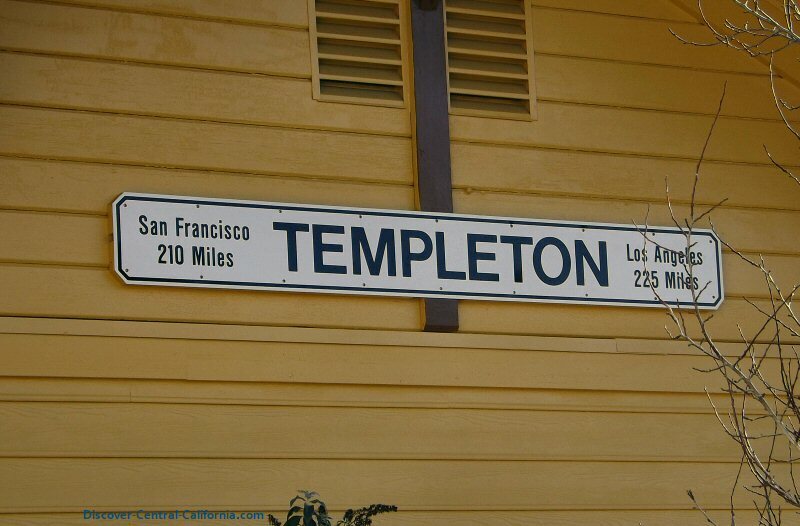 Templeton California, beside the Salinas River, is a small town that is usually ignored by travelers through the area. Speeding along Highway 101 the temptation is to make your next destination, be that Paso Robles or Solvang or ? 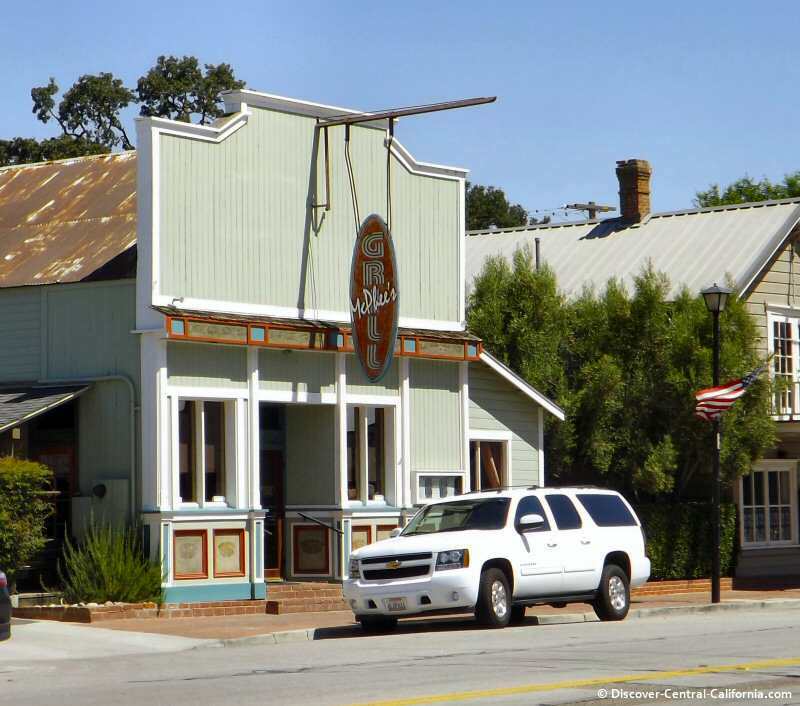 But getting off the main highway and taking the old road can have rewards, and this little town is charming and has some noteworthy places to visit. A previous Photo of the Week selection. 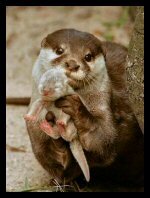 for the Photo of the coming Weeks! Clicking any of the photos on this page will open a gallery of larger sized images. 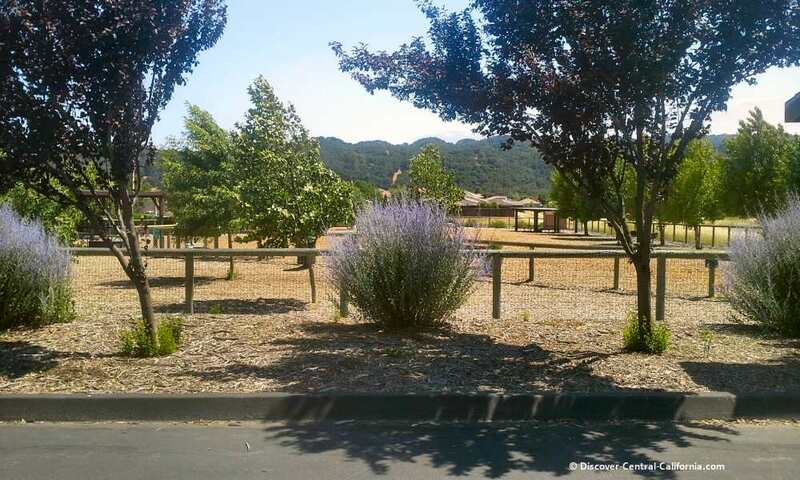 One of the most charming features of Templeton California is the park which is found in the heart of town. 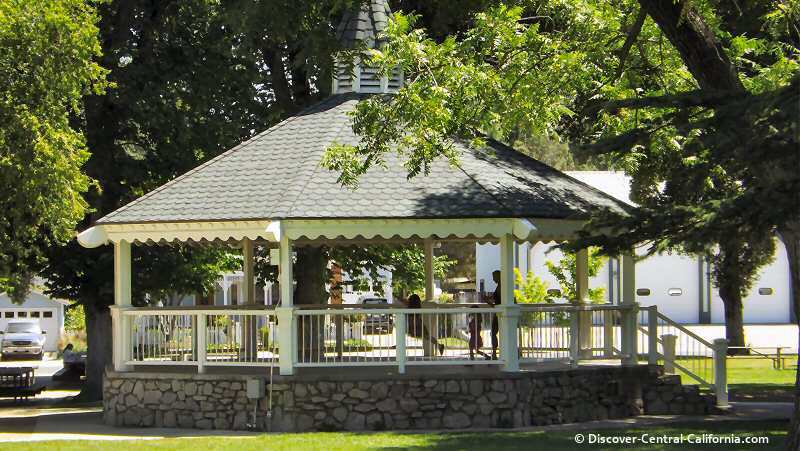 Picnic tables, gazebo, play area for the kids and restrooms are all here along with plenty of mature shade trees. 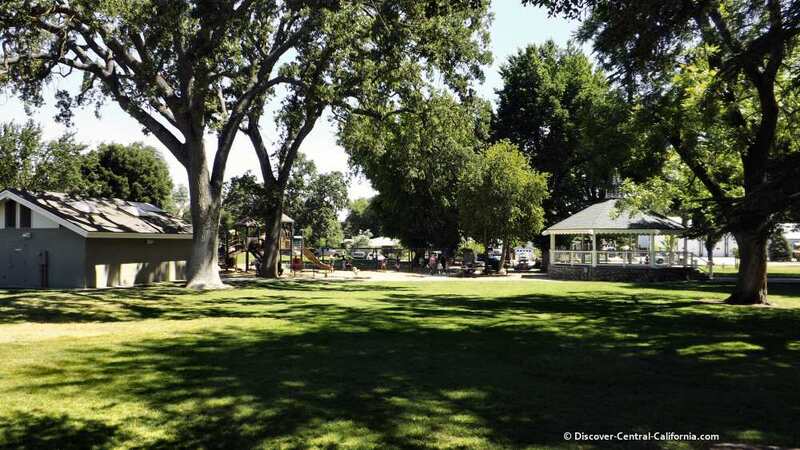 The park is also home to the largest farmer's market in San Luis Obispo County on Saturday mornings (0900-1230) with wonderful produce and offerings. Location: Between Atascadero and Paso Robles along Highway 101. Name Sake: Named after Charles Crocker's grandson Templeton; the original intent was to name the town "Crocker", but he declined. Crocker was a major investor in the Southern Pacific Railroad. Ranchers, farmers and just plain folk with a few chickens or other animals from several counties all seem to end up in Templeton at some time or another. 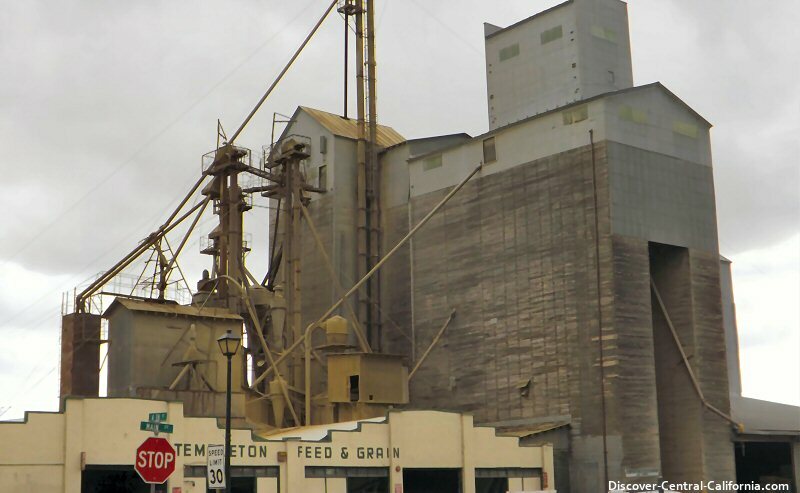 The reason for that is found in the biggest building in town - Templeton Feed and Grain. 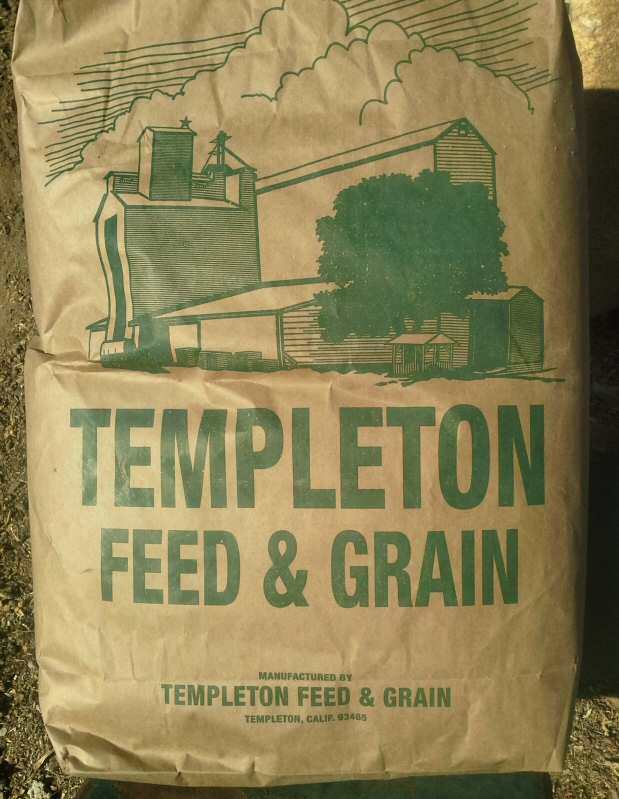 This business blends and packages all sorts of animal feed. As you're passing through on your vacation or road trip, you probably won't need anything from there, but you'll better understand why Main Street is bustling most weekdays. Main Street was, at one time, part of Highway 101 back when highways used to pass through towns instead of around them. There are a few places where you can see some of the original 1930's roadbed. Here is a site which is a great compilation of photos and information about the old road. 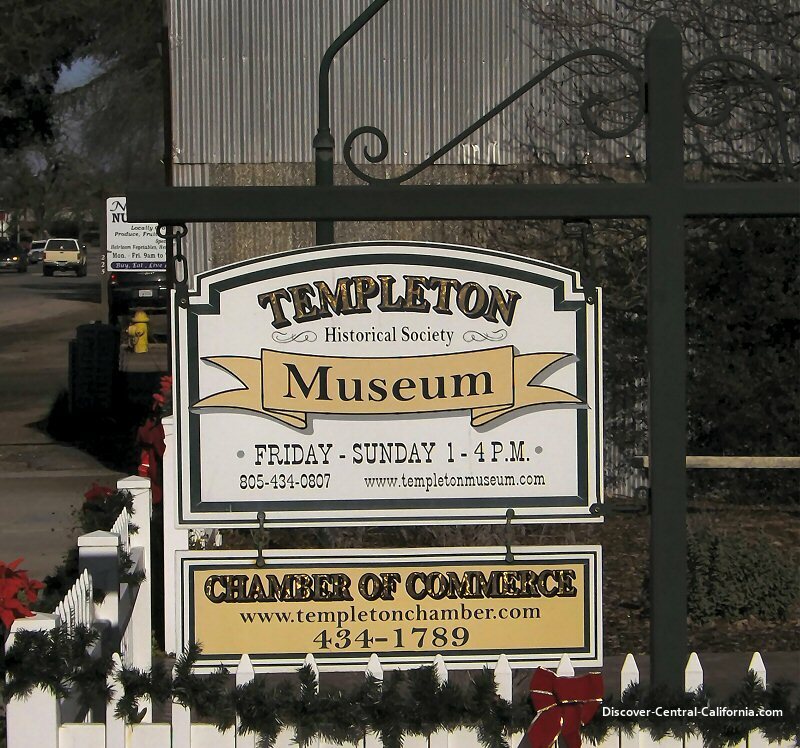 This link brings you to the main page on Templeton, but if you're interested, be sure to check out all the other sections. Lots of good things here! 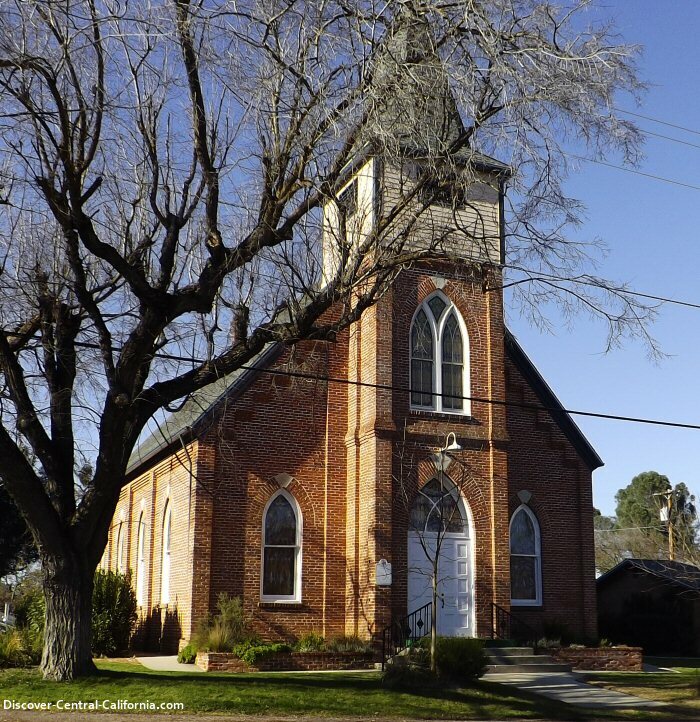 Built in 1891, Bethel is one of the oldest Lutheran churches in California. Another unusual aspect is the brick construction - masonry buildings don't do very well in earthquake country so they are rarely seen in California. That this church is standing attests to the craftsmanship of its builders. 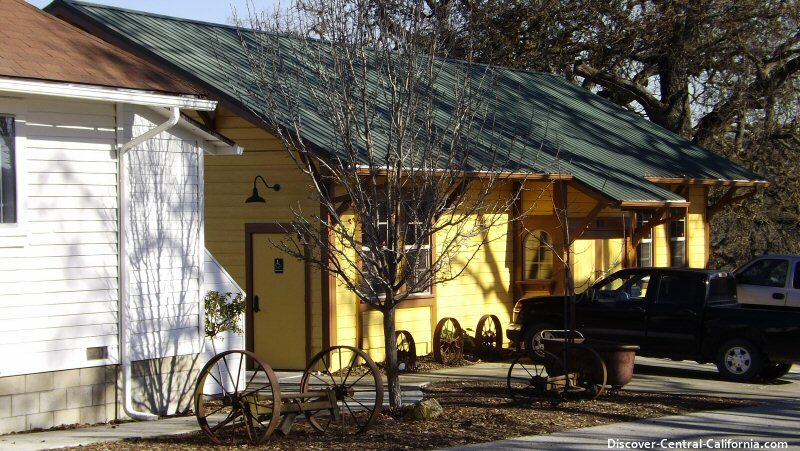 There aren't many restaurants in Templeton, but the ones that are here are good to very good. Heading the list is McPhee's Grill at 416 S. Main (website). Great dining anytime. Great local wines. My only disappointment with this place is that they used to have the best Sunday brunch anywhere. Alas, no more. Just a couple doors west is A. J. Spurs at 508 S. Main. Unashamed cowboy cuisine - steak, beans, soup and salsa. Be hungry if you show up here. Lunch can be a problem if you're on the road. Many of us end up a national chains because of the uniformity. You know it's not great, but you know what you'll get. Sam's Deli is hidden behind Templeton Spirits at 567 S. Main. Just pull in the parking lot and it's behind the liquor store. Cozy, friendly and Sam makes the best sandwiches in the area. Across the freeway in the newer section of Templeton and in the midst of medical offices is Chulo's Cantina at 335 Posada Ln. No website, but their phone is (805) 434-3044. Open for breakfast, lunch and supper. Not many tourists find this one. It's a local favorite. Very good Mexican fare. If you are passing through you might want to stop in at Nature's Touch Nursery and Harvest. It's a sort of "farmer's market grocery". All the food is locally sourced, usually by small producers in the area. They are now serving soups and salads, so if you're wanting to stay healthy, even on the road, stop here. 225 S. Main Street. Finally, across Highway 101 at the southern end of town is Pier 46 Seafood. Located on Rossi Rd. in the Trader Joe's center off Vineyard Road this is our favorite place for fresh seafood in the area. In addition to selling beautiful fish right off the boat, they make mean fish tacos and many other items and have a few tables inside and out. This is really popular with locals so lunchtime is very busy, but a moderate wait is well worth it and you can take your lunch back to Templeton Park. 805/434-1950. Not bad for a little, bitty town, right? 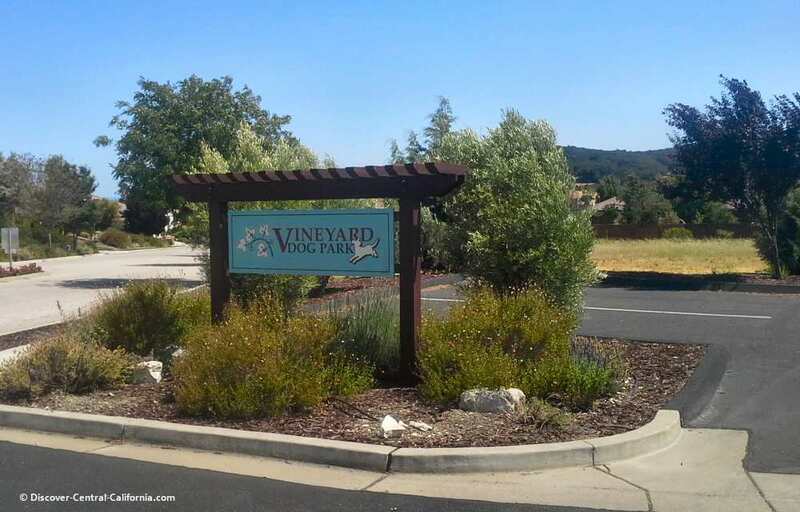 That's your choice right in town, BUT if you head south on Main St. and then right on Vineyard across the freeway, you'll be in the heart of wine country. Vineyard (the name rather says it all) crosses Highway 46 west of Paso Robles. Many wineries either way on the 46. If you cross the 46 and continue on Vineyard there are still more tasting rooms. You could spend a week and still not visit them all. But that gives you an excuse to visit here again, right? If you're traveling with you dog, knowing where the dog parks are is a very good thing. 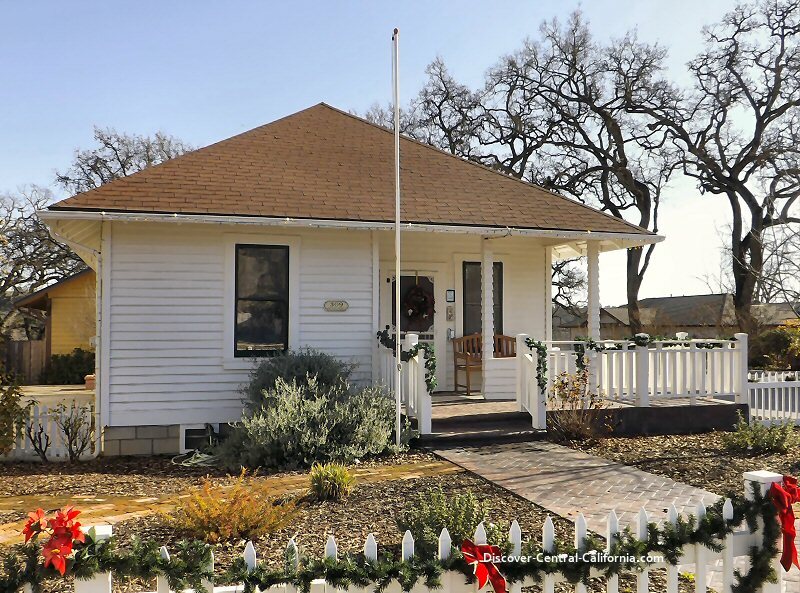 One of the newest and nicest ones in the area is found at 1856 Vineyard Drive west of Highway 101. Big and little dog areas for off-leash fun. Now, you may have already been through Central California and have a great vacation photo and a story to go along with it. Did you know that you can share that with everyone here by using the simple form below? Here you can tell your great travel story, upload as many as four photos and you're done! It's really easy and fun to see your page published! Do you have a great photo of the Central California area? Share it and it will be considered for the Photo of the Week right here! What is the Title of Your Photo? You can tell us where it was taken, and when and any interesting details about the picture. You might even have a funny story that goes along with it, something humorous about your vacation or getaway.